A California woman who reported her two adoptive children missing found herself behind bars when authorities say it was revealed that the kids had run away after enduring months of abuse. Los Angeles County prosecutors say 50-year-old Ingrid Brewer, of Palmdale, pleaded not guilty Wednesday to eight felony charges, including torture and cruelty to a child. Police responded to Brewer’s January 15 call saying that the eight-year-old boy and seven-year-old girl were missing. Hours later, the children were found hiding under a blanket, lying on the ground nearby. Neither one had winter coats on, despite the frigid temperatures, according to the station KTLA. The children claimed that they were locked into separate bedrooms when Brewer went to work each day, forced to use wastebaskets for toilets, and had their hand zip-tied during vicious beatings. Investigators said marks and injuries on the victims’ bodies were consistent with the abuse they described. The children also appeared malnourished. It all started at around 10pm on January 15 when Brewer returned home from work, only to discover that her two children were gone. Police officers who arrived on the scene began scouring the area, and at around 2am they came across the pair shivering under a blanket a couple of blocks away from Brewer’s home in the 39000 block of Clear View Court. When police interviewed the runaways, the brother and sister told them that they had escaped because they were tired of being tortured. The children told the deputies that Brewer would lock them up in separate bedrooms for 12-hour stretches every day, forcing them to use rubbish bins to relieve themselves, NBC reported. According to the kids, the 50-year-old would often tie their wrists and beat them using an electrical cord or a hammer, as well as deprive them of food. Sgt Brian Hudson said that Brewer told detectives that one of the reasons she was locking the kids up was because they were stealing food. 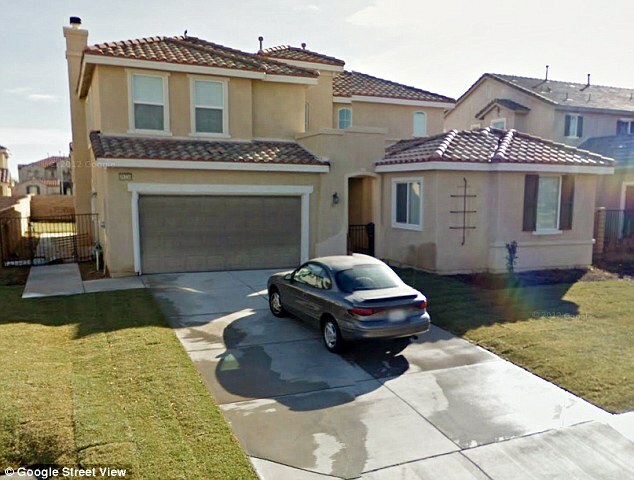 The 50-year-old Palmdale resident had been the siblings’ foster parent before formally adopting them. Brewer’s neighbors in the middle-class suburb described the woman as standoffish and unfriendly. One nearby resident said that until recently, she did not even know that Brewer had children. Both the boy and the girl were home-schooled by their adoptive mother, which could explain why no one was aware of the alleged abuse that lasted from October 31 to January 15, when the kids finally broke free. Brewer is being held on $2million bond. She is due in court for a preliminary hearing on January 31. ← Can Republicans Change Their Spots?